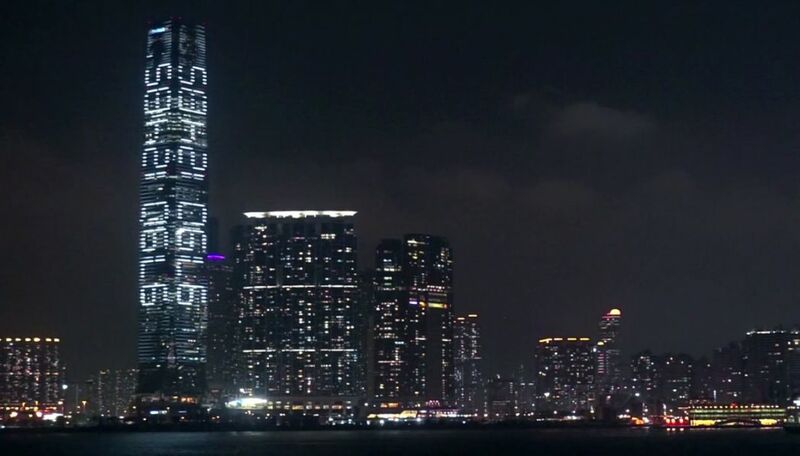 A group of artists are using Kowloon’s International Commerce Centre to stage a large-scale countdown to July 1, 2047. The public art project – kept secret until now – aims at urging Hongkongers to think about the city’s future whilst Chinese state leader Zhang Dejiang visits Hong Kong. 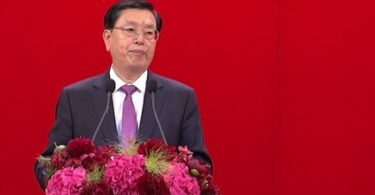 The “Countdown Machine” began on Tuesday evening – the day Zhang, China’s No. 3 official, arrived in the city. For one minute every night until June 22, the facade of the tallest building in Hong Kong will be transformed into a countdown timer. Hongkongers will be able to watch the countdown to 2047 in seconds. The date marks the official end to the One Country, Two Systems agreement and is a symbol of the uncertainties over the city’s future. The project was devised by the Add Oil team, which consists of artists Sampson Wong, Jason Lam and their friends. 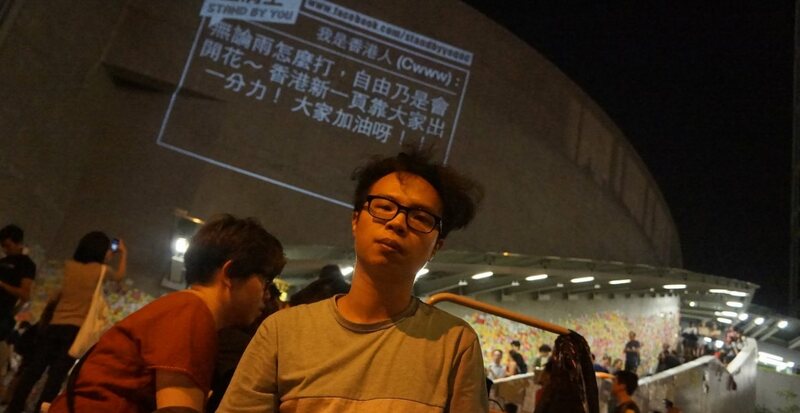 Their previous works include the “Stand By You: Add Oil Machine for the Umbrella Movement”, which projected over 10,000 messages expressing solidarity with the pro-democracy Occupy protests from all over the world onto the wall of the legislature. “The greatest anxiety of the Hong Kong public – the fate of the city during its second ‘turnover’- will be visualised on the most visible surface in Hong Kong. 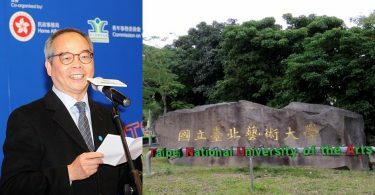 It aims at converging the Hong Kong people’s attention and [urges] everyone to begin brainstorming for action – building a hopeful future for the city,” the team said. The add oil team said that they hope the artwork will be a subtle, but visible, form of protest during Zhang’s visit, as extreme security measures will be adopted which will silence the “real voices” of Hongkongers. “It condenses the greatest anxiety of the Hong Kong people in a string of numbers and the Hong Kong people have already expressed their will to take control of the fate of the city,” they added. An accurate version of the countdown is also be available on their website, addoilteam.hk.